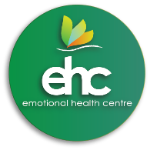 At the Emotional Health Centre (EHC) we understand that employees can experience any number of mental and emotional challenges in their personal and working lives. We offer support to you and your employees through our personalised Employee Assistance Program in Melbourne. We also offer additional Employee Assistance Program services in Cheltenham. What is an Employment Assistance Program? An Employee Assistance Program (EAP) is a confidential, counselling-based intervention program for employees at all levels of an organisation. It is funded by the Employer; and provides support to enhance the emotional, mental and general psychological wellbeing of employees. What are the benefits of an EAP? Providing an EAP for your employees shows them you are committed to their mental and emotional wellbeing; and ongoing workplace health, happiness and performance. Providing preventative and proactive support to help employees manage, and address, issues in their personal and working lives. Reducing absenteeism and high staff turnover. Helping address a range of issues including: personal and career development; mental health; workplace and personal relationships; work-life balance; general health and wellbeing; and grief, loss and trauma. Improving work engagement, performance and productivity; and decreasing stress-related illnesses and claims. If you are a small-to-medium organisation, who is interested in providing a counselling service to your employees, we can offer you a tailored EAP counselling service. This involves anywhere from three to six counselling sessions to address work and personal challenges. We have found that when individuals do not have the coping strategies to deal with issues in their personal or working life, their ability to perform, engage and function at work can be greatly impacted. Our experienced counsellors can help employees to: discuss and address concerns in their working or personal life; develop strategies for moving forward; and strengthen their resources to manage any future stresses or challenges. If you are looking at providing an EAP service, or changing EAP providers, please contact us (link to contact page) to discuss how we can support you organisational needs. If your current workplace has engaged EHC to provide EAP counselling, and you are experiencing stress or trauma in your personal or working life, we can provide you with free, confidential and independent counselling. If you would like to find out more about our EAP, or to book a workplace visit by one of our skilled EAP counsellors, contact us today on (03) 9584 5150, or click here to send us a message.